Take off with your look in this day-to-night Citizen® watch. 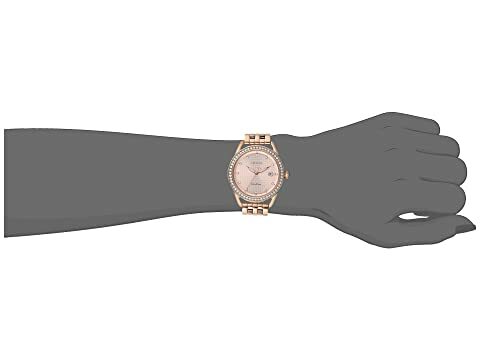 Rose gold-tone stainless steel bracelet with fold-over, double push-button release. 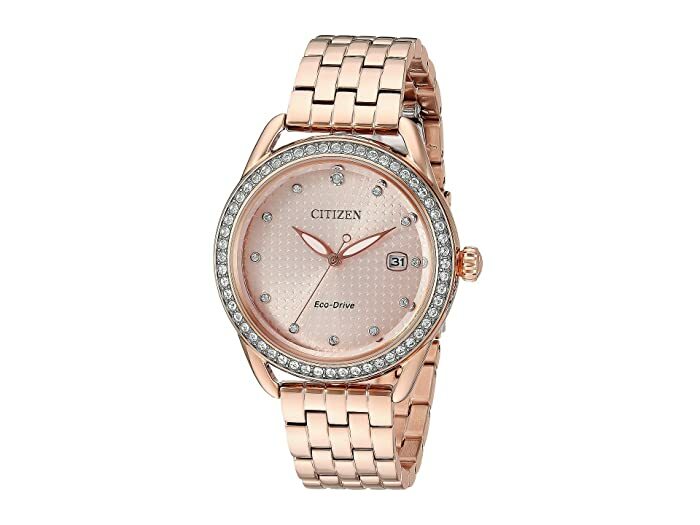 Dial features rose gold-tone hands, Swarovski® crystal hour markers, date display window, and Citizen detailing.